STORY: Darkseid attacks the planet Earth, destroying a military base in the process. 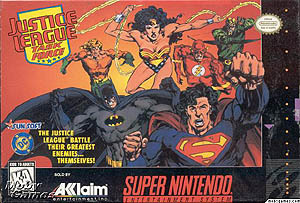 A member of the Justice League (that the player chooses to play as) tracks down the other members for information and aid only be to attacked by those heroes in their related locations. As the hero defeats the other JL members, they deduce that the others aren't the real leaguers. 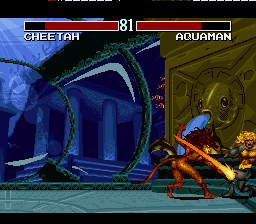 Coming to this conclusion, the hero battles Cheetah and then Despero for more information. They both lead the hero to Darkseid, who then forces the hero to fight their android clone. 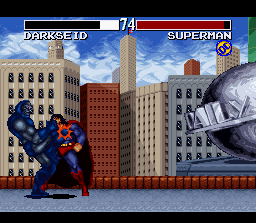 Upon defeating the clone, the hero must face Darkseid himself. After the hero defeats him, the other League members are freed, and the military base is restored. It doesn't look bad in still-frame... but in motion? lol. 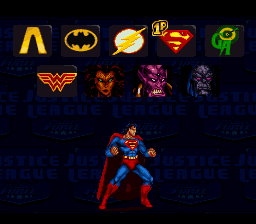 REVIEW: Justice League: Task Force is a 2D fighting game featuring characters from DC Comics' Justice League. Task Force's purpose clearly was to ride the coattails of the Street Fighter 2's and Mortal Kombat's worldwide success... but this title fell short in the graphics department and very short in the gameplay department. 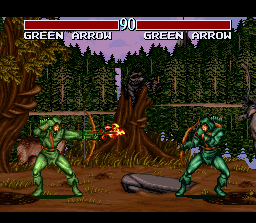 Not only are the graphics bland and borderline terrible (even for a game in 1995), the superhero-themed gameplay is super-clunky and very unresponsive. Character special moves and priority attacks severely lack "oomph" and namely, animation. 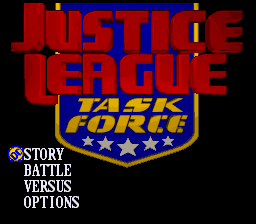 In fact, if the award for "worst 2D fighting game animation" was being given out in 1995, Justice League: Task Force would most likely take the cake. Everything about this game is just... eww. The sound effects and music aren't as terrible as the rest of the game, but in no way save Task Force from being a complete failure of a fighting game. 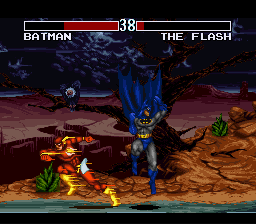 The character roster, aimed to make a quick buck using DC's highest profile comic book stars, is also smaller than that of most fighting games. 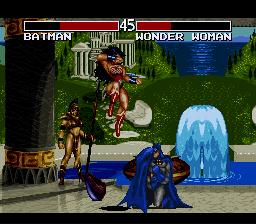 Justice League: Task Force can be written off as just another "me too" 2D fighting game of the mid 90's. Any seasoned fighting game player in 1995 would tell you this was a "wannabe" fighting game, and not a very good one. They sure didn't have this game at the arcades, because if they did, NOBODY would be playing it. No doubt, there were far better fighting games available on the SNES & Genesis in 1995 (not to mention a ton at arcades). 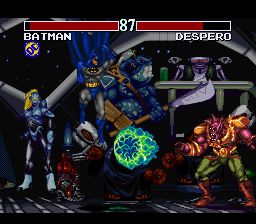 Personally, after playing X-Men: Children of the Atom in the arcade for nearly a year, Justice League: Task Force wasn't an acceptable quality for a fighting game. It's not a Marvel thing, it's a quality thing.